If you have never heard of Luxe Box, it's a part of Top Box. Except it is sent out every three months instead of every month like most beauty box subscriptions. Luxe Box is $26 for a month, and they also have some discounts if you sign up for a yearly subscription, but I decided to do the monthly amount, just so I don't get tied into something I may not enjoy. You are sent 7-8 products, and have the option to upgrade just before the box ships. Shipping is free, but they only ship within Canada. With Birchbox ending Canadian operations, and me cancelling my Ipsy bag, I felt I would be missing out in the subscription world. 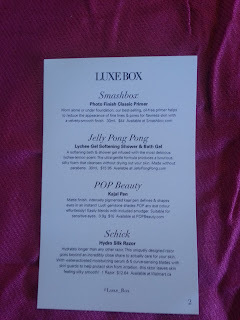 I did also sign up for Topbox and received my first bag in February, but I thought Luxe Box would be another interesting choice, and it is pretty affordable since it is only $26 (every 3 months) and more of a luxe product offering. 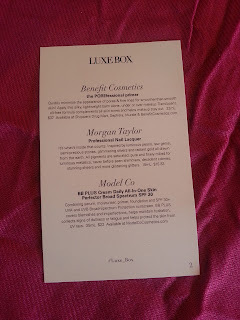 Enough introduction :) Let's see what came in my Spring 2016 Luxe Box! 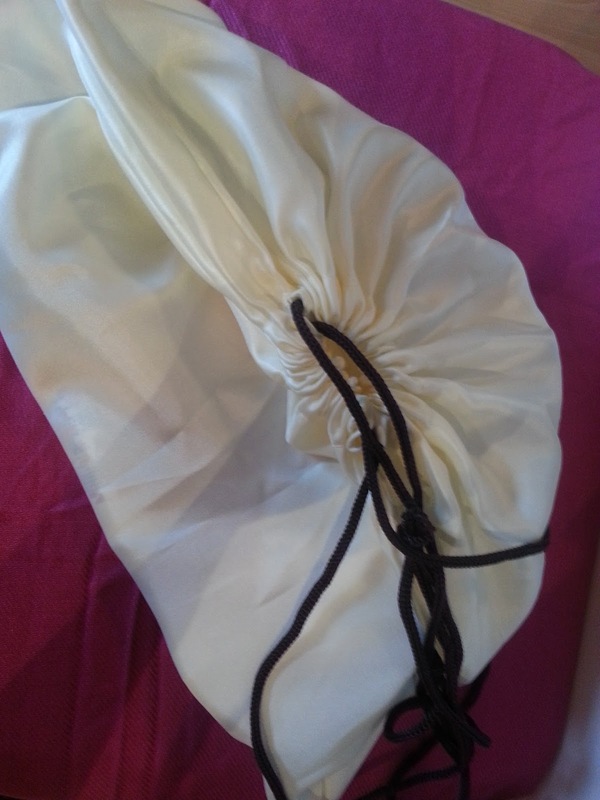 First things first, since March is "Earth Month" Luxe Box decided they would ship everyones box in these eco-friendly silk bags instead. This can be reused so I thought that was neat. Although I'm not sure what I will use it for yet! Let's look inside! Included in the box is a product card. Both sides are filled out. I got a total of 7 products for my Spring 2016 Luxe Box. I didn't take any individual photos of these products, except a swatch of the BB Cream. I felt the picture showed everything. I will list each item individually though. A softening bath and shower gel infused with the most delicious lychee-lemon scent. The ultra-gentle formula produces a luxurious, silky foam that cleanses without drying out your skin. Made without parabens. Full size is 30mL for $15.95. I'm not in a rush to use this one, but it sounds like it will smell good, and it will eventually get used up. I will provide a little review on this one, probably in an empties post. Combining serum, moisturizer, primer, foundation and SPF 30+ UVA and UVB Broad-Spectrum Protection sunscreen, BB PLUS covers blemishes and imperfections, helps maintain hydration, corrects signs of dullness or fatigue and helps protect the skin from UV rays. Full size is 35mL for $22. While this BB Cream sounds right up my alley, because I need all the hydration I can get. The colour is just awful. It's supposed to be light, but it is orange. Look at that. How is that even LIGHT? Horrible. Horrible colour. Not impressed at all. Matte finish, intensely pigmented kajal pen defines and shapes eyes in an instant! Lush gemstone shades POP any eye colour effortlessly! Easily blends with included smudger. Suitable for sensitive eyes. 0.9g is $10. I'm not sure if I will use this because it is a pencil. I tend to prefer liquid liners just because they are so much more pigmented and they don't drag as much as a pencil does for me. Since it is a kajal liner though, I feel like it would be a little better than a normal eye pencil. I haven't decided it if I will use it or not. I'm leaving it unopened for now. Hydrates longer than any other razor. This uniquely designed razor goes beyond an incredibly close shave to actually care for your skin. With water-activated moisturizing serum and 5 curve sensing blades with skin guards to help protect skin from irritation, this razor leaves skin feeling silky smooth! 1 razor $12.64. A razor. I mean, it's not really exciting, or "luxe"... when I pulled it out, I was like, what is this? 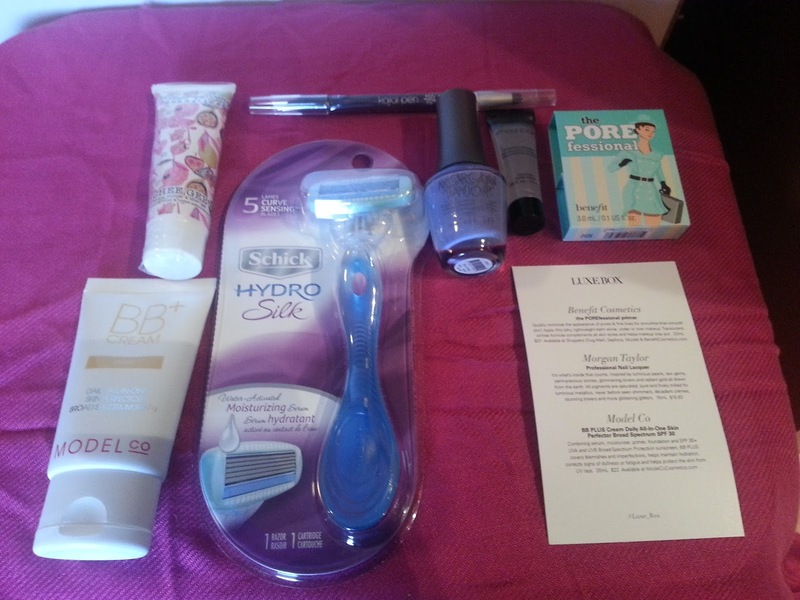 I will use it, it's not a huge deal, but I've never seen a razor included in a beauty box. The other thing that irritates me, is usually P&G or whoever owns this brand, usually sends these out for FREE in their own annual sample boxes. So this leaves a bad taste for me. It's what's inside that counts. Inspired by luminous pearls, raw gems, semi-precious stones, glimmering silvers and radiant gold all drawn from the earth. All pigments are saturated, pure, and finely milled for luminous metallics, never before seen shimmers, decadent cremes, stunning sheers and more glistening glitters. 15mL is $15.83. The colour is pretty. It's purpley. I haven't had a chance to try it yet so I don't know how long the wear time is, but it's a pretty spring colour, and definitely one I would wear all year if I could! Worn alone or under foundation, our best-selling, oil-free primer helps to reduce the appearance of fine lines, and pores for flawless skin with a velvety-smooth finish. 30mL is $44. I've tried this primer before and didn't like it. It will be gifted. Quickly minimize the appearance of pores and fine lines for smoother-than-smooth skin! Apply this silky, lightweight balm alone, under or over makeup. Translucent, oil-free formula complements all skin tones and helps makeup stay put. 22mL is $37. I've heard good things about this but have never tried it. I'm not really big on primers. It might be because I just haven't found the right one for me, I'm not sure. Top box is also giving away a free sample of this one, so I will be keeping one sample and gifting the other. I kind of feel as if this was a waste of $26. The only thing I really like from this is the nail polish. Yes, the razor and the shower gel will get used. But the razor I have recieved for free before in the past, and the shower gel just isn't exciting. Two primers feels like an over kill, and what makes it kind of bad to me, is that they are giving them away for free through a facebook promotion as well. So two of my seven products were free at some point. 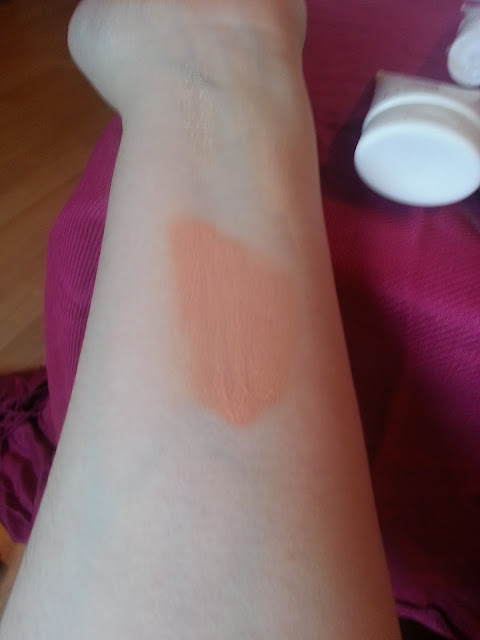 Then the BB cream is useless to me because the colour is so wrong. 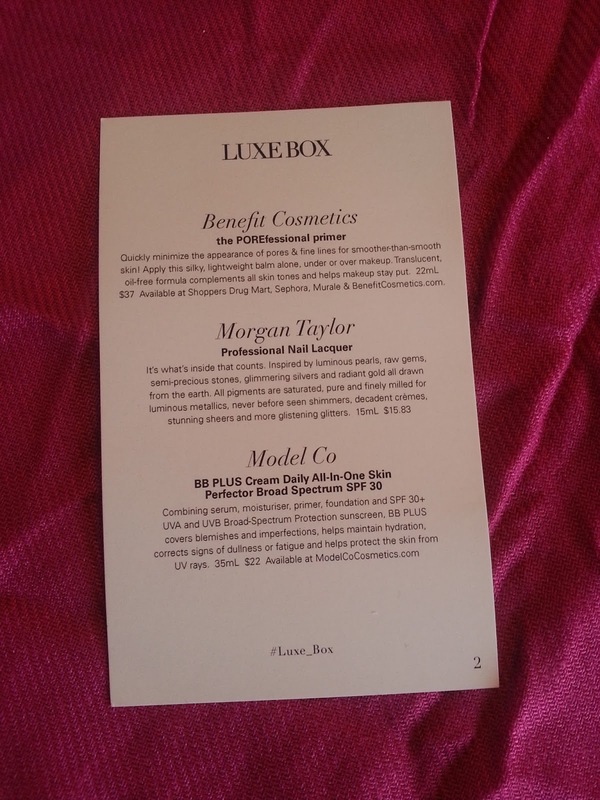 I know we take a gamble when it comes to subscription services, but nothing feels "luxe" about this Luxe Box at all. I will stay subscribed for the next box, which should be coming in the summer, but if it's similar to this, I can't see myself staying subscribed for a long time.